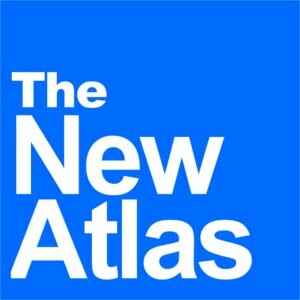 November 10, 2015 (Tony Cartalucci - NEO) - China's western region of Xinjiang, a vast area home to some 21 million people, is one of several hubs of destabilization maintained by the US State Department and its vast network of nongovernmental organizations (NGOs), covert programs, and overt political meddling. America's "Xinjiang game" is part of a larger, long-term goal of encircling, containing, and undermining China in a bid to maintain American hegemony across Asia. Were one to believe the rhetoric emanating from any of these NGOs or the US State Department itself, the majority of Xinjiang's population groans under the unbearable, despotic, inhumane rule of the Chinese Communist Party (CCP). US-based and funded NGOs claim that ethnic Uyghurs are regularly persecuted, discriminated against, and have their human rights consistently and unreasonably violated by Beijing. Of course, most of these claims are referred to by even the Western media as "allegations," not documented facts, with the vast majority of these claims coming from a handful of Uyghur groups funded directly by the US State Department through its National Endowment for Democracy (NED). NED's website even refers to China's Xinjiang province parenthetically as "East Turkistan," the name of the fictional state separatists seek to carve out of Chinese territory (with US backing). In reality, 45% of Xinjiang's 21 million people (some 10 million) are Uyghurs, and it is likely that if even half of them felt slighted by Beijing and supported separatist movements, China's Xinjiang region would already no longer be Chinese. China is currently developing the far flung region's infrastructure in hopes of accelerating economic growth, and providing opportunities to all of the region's people. The last thing China needs - a nation of 1.3 billion people and growing, scattered over a vast amount of ethnically and geographically diverse terrain - is a sizable portion of this terrain to become divided along ethnic lines, destabilized, and mired in chaos. To that end, China has embarked on programs to help give Uyghurs the ability to participate in China's growing fortunes, including language courses to allow them to speak Mandarin and thus secure better jobs not only in Xinjiang, but all across China. 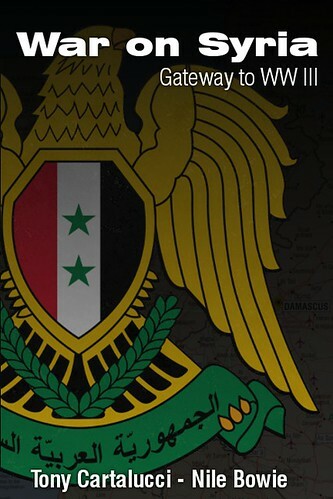 The move was immediately condemned by the US and its proxy NGOs. 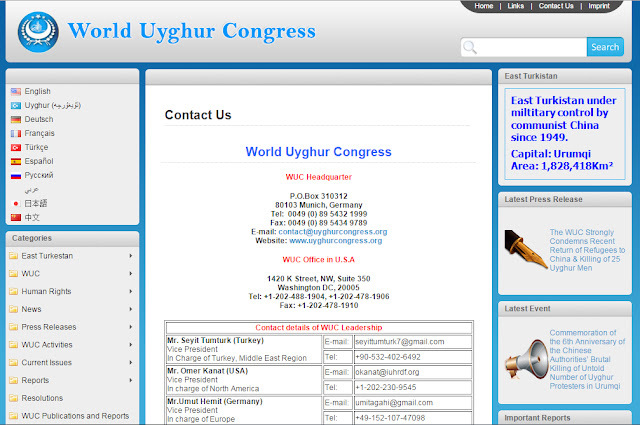 Image: Destroying the prospects of the Uyghur people in Xinjiang is easy for the "World Uyghur Congress," since none of them are even based in Xinjiang, but instead are US-funded and based literally in Washington D.C. and the EU. The "exile groups" referred to by RFA is in fact the Washington D.C.-based World Uyghur Congress (WUC), openly funded by the US National Endowment for Democracy. 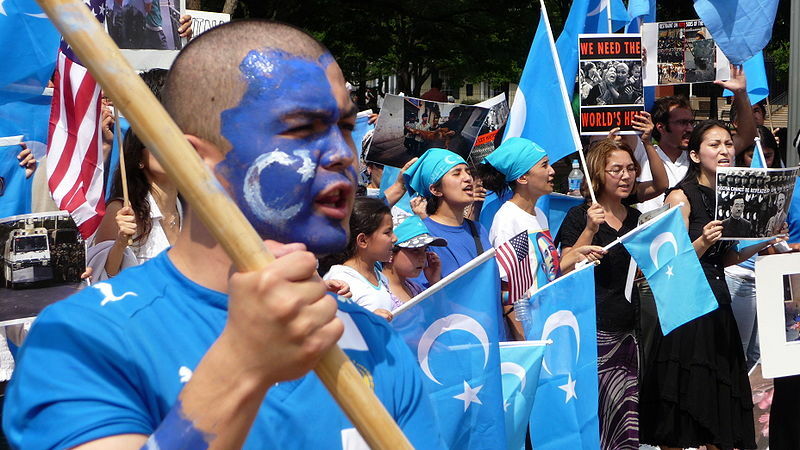 That this so-called "exiled group" is literally sitting in Washington D.C., funded by the US State Department, and serving the convenient role of destabilizing China, widely acknowledged by the US itself as an adversary it must encircle, contain, and undermine, clearly explains why efforts to teach Uyghurs Mandarin and thus secure a better future, is opposed, with no viable alternative provided. Realistically however, learning a language takes time, and mastering it may take a lifetime. The perceived marginalization Uyghurs face, due in part undoubtedly to an inability to speak proper Mandarin alone might take a generation to overcome. China's only hope of draining the swamps of poor education and poverty within which Beijing's enemies seek to plant the seeds of division and chaos, is to commit itself to long-term plans to create a more inclusive environment for Uyghurs. Such division suits China's enemies quite well, constituting the age-old strategy of "divide and conquer." By dividing the ethnic Uyghurs against Han Chinese, including the funding and backing of armed groups carrying out deadly terrorist attacks - not only in Xinjiang, but across greater China - the US hopes to make Xinjiang ungovernable, forcing Beijing to commit greater resources to quelling violence, instead of fostering unity and moving economic progress forward. For every long thought-out strategy to educate and empower Uyghurs to participate in greater China's growing economy, spanning years and costing millions to implement, a single terrorist attack carried out by US-backed separatists can fuel animosity on both sides, and undo any progress made in just hours or days. While the vast majority of Xinjiang's population appears intent on choosing the stability Beijing offers versus the violence and chaos offered by the US State Department and its stable of terrorist organizations, the ability of a horrific mass knife attack to disingenuously reframe reality to suit Washington and Wall Street's interests versus reality still seems unmatched. It will take Beijing time to formulate the right balance to defend against this tactic - all while ensuring it doesn't fall into the trap of simply "cracking down" in Xinjiang and only adding fuel to the West's intentionally lit fire. For the Uyghur people, there are two choices. One is to indulge in fantastical notions of an "East Turkistan," where virtually no economic activity will take place, infrastructure will rot, and Western-backed militancy will reign for the primary purpose of pushing the chaos successfully created to carve off Xinjiang, deeper into China. The other choice is to commit to Beijing's long-term vision of integrating Xinjiang's ethnic minorities into Chinese society where they can enjoy the same opportunities as China's 1.3 billion other citizens. Ironically, with US-backed NGOs using Uyghur's as proxies in what is basically a terror campaign by with the ultimate goal of seizing Chinese territory, it is not Beijing that poses the greatest threat to the culture and traditions of the Uyghur people, but rather the NGOs "protecting Uyghur rights" while hiding a proxy war serving foreign interests behind them. Just as Islam today suffers collectively because of Western-backed terror groups which in reality constitute but a fraction of 1% of all Muslims - and who practice an ideology that is in fact, the antithesis of Islam - Uyghurs will continue to suffer collectively because of a small minority of violent, loud, well-funded, and well-organized proxies propped up by the West - some literally based in Washington D.C. itself - for the West's own ends. While it appears China is still able to successfully move its plans in Xinjiang forward despite the West's greatest efforts to disrupt them, Beijing could benefit greatly from better educating the world regarding the state of Xinjiang's sociopolitical landscape, including highlighting Uyghur groups that are working to both preserve their culture and traditions, as well as work together with Beijing to improve the opportunities of the Uyghur people within greater China. For now, when one types in "Uyghur conflict" into Google, they will be faced with a torrent of headlines providing only one side of the story - and it isn't Beijing's.